Thanks to front-facing cameras on smartphones, we take the opportunity to snap selfies whenever possible. This week, we have an app with a new feature that builds on this tendency — to indulge in narcissicm — by throwing in a bit of educational value to go along with it. If you’ve been on any of your social media apps lately, you might have seen people uploading strange side by side comparisons, with their selfie on one side and a portrait on the other. 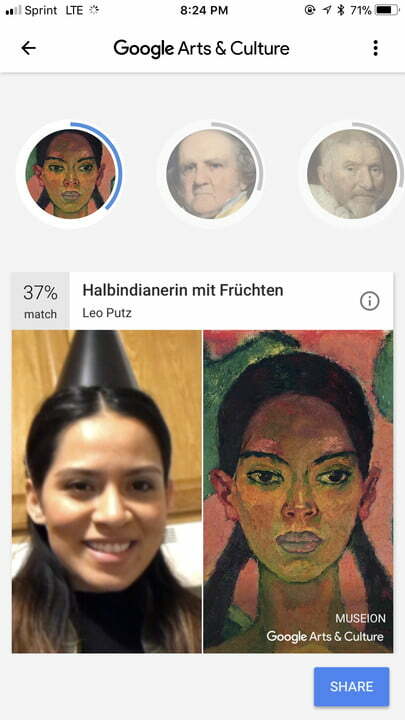 With the Google Arts and Culture app — available for iOS and Android — you can now take a selfie and match with artwork that looks like you. This is reminiscent of the days when doppelgänger generators were all the rage and everyone was dying to know which celebrity they looked like. While I wasn’t as excited with my results as I was back in 2010, when I found out my doppelgänger was Hayden Panettiere, it was still entertaining. 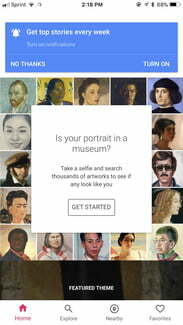 After downloading the app, you’ll have to scroll down to the section that reads “Is your portrait in a museum?” Once you tap “Get Started,” you’ll be taken to a page where Google explains it won’t use data from your photos for any other purposes, and you can either cancel or accept. Once you accept the terms and conditions, a small square appears for you to align your face with and take the photo. 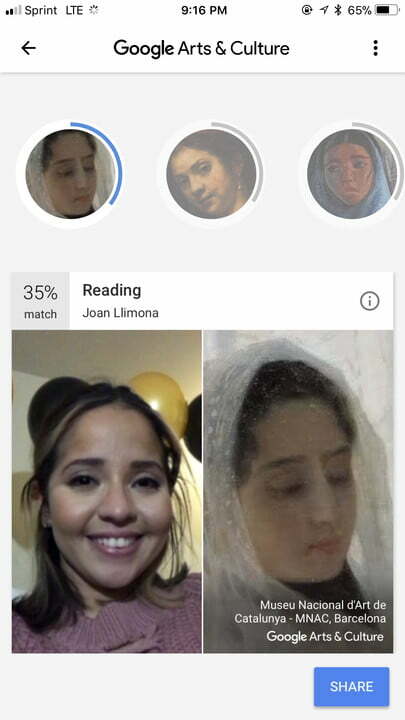 After you snap your photo, the app will analyze your features using computer vision technology to match your selfie with historical artwork. When swiping through each portrait you’ve matched up with, you’ll notice that it lists each one by percentage of how close the resemblance is. It’s also in descending order, so the ones you resemble the most will appear first. You can then choose to share them to your social media channels, as well as email and text messages. When I had my friends try it, we were mostly laughing at some of the matches. But each time we tried it, there was always at least one portrait that did strike a strange resemblance. The funny part about this app is not only seeing who you’ve matched up with, but how closely the camera zooms in on your face. It’s similar to the way your parents would take photos of you in high school, when they fully zoom in on only your head so it’s a “nice” up-close shot that you never want anyone to see. Since it has to analyze your features closely, it makes sense that it zooms in so closely. But for an app that’s getting so much recognition, you’d think they would try to make these selfies a bit more flattering. Let’s just say, you won’t be sharing these on your actual Instagram account — instead they’ve been finding their way to Instagram Stories where it only lasts 24 hours. But of course, you can’t forget the educational aspect of Google Arts and Culture. By tapping on the portrait you’ve matched with, it will provide you with the title of the artwork, its artist, and the collection it’s from. 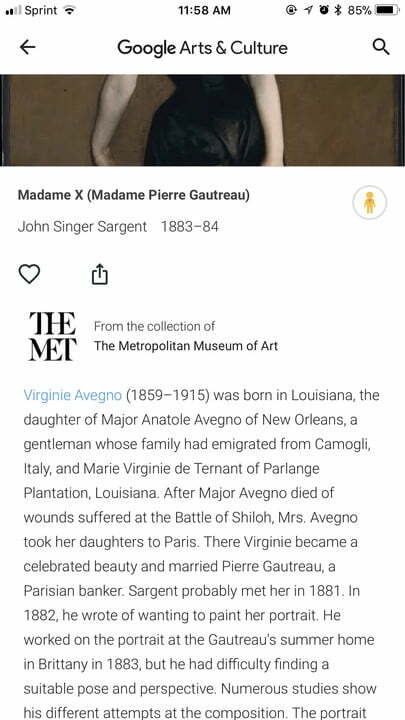 You’re able to learn more about it by tapping on “View Artwork,” which brings you to the full version of the portrait and additional details such as the date it was created, the type of painting, its origin title, and more. 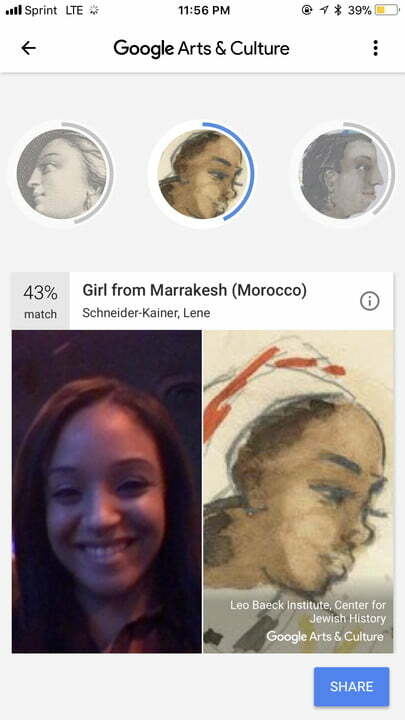 While taking selfies of yourself is fun, it also seems to be Google’s way of hooking you in. There’s tons more to do on the app when it comes to art and culture. 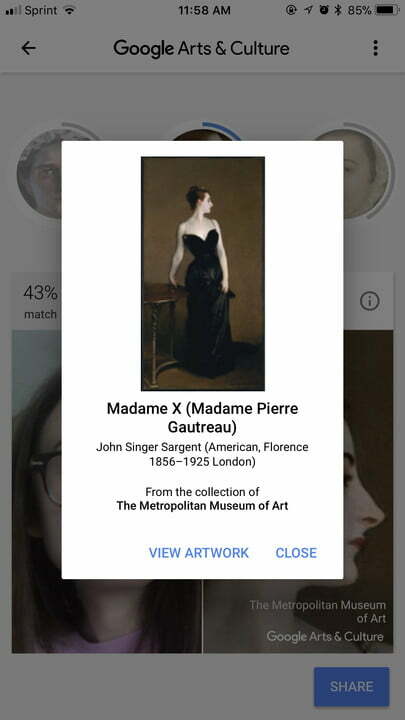 You can explore thousands of collections from museums around the world, read articles about artwork or features on artists, and you can also favorite tons of collections to save within the app. For those who want to experience seeing and exploring artwork in person, the app will also ask your permission to track your location in order to make recommendations of museums nearby. It’ll provide you with all the information you need, such as the exhibits that are currently running, the distance to each museum, operating times, and pricing.